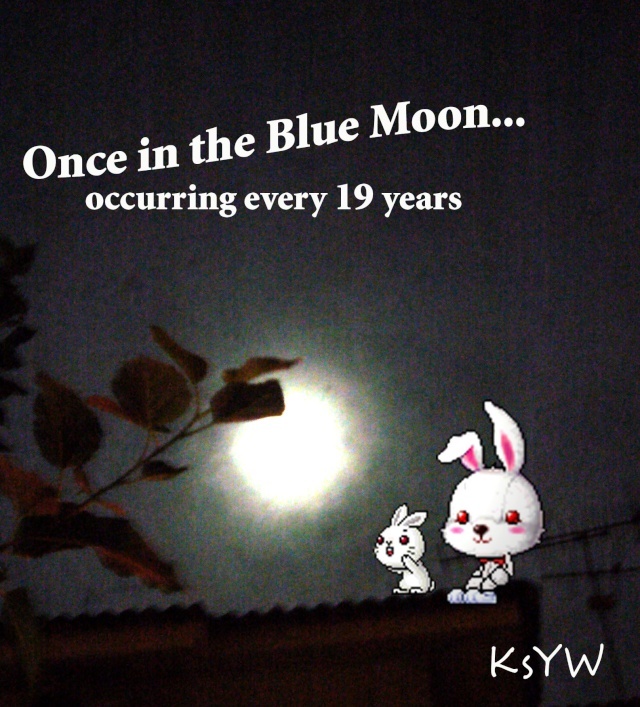 According to popular definition, a blue moon is the second full moon in a month. But don't expect it to be blue — the name has nothing to do with the color of our closest celestial neighbor. aand why you dont understand? APPEAR ONCE EVERY 19 YEAR ?